In Part XI, the Stones ditched manager-producer Andrew Oldham and released a psychedelic album. In the wake of the disappointing Their Satanic Majesties Request, longtime scene watchers began dismissing The Rolling Stones as has-beens. With producer Andrew Loog Oldham out of the picture and their artistic stock at an all-time low, Mick Jagger and Keith Richards made two key decisions. The first was to forget about psychedelia and other pop trends and get back to being a rock ’n’ roll band. The second was to hire American Jimmy Miller as their producer. Miller had produced two huge Brit R&B hits, “I’m A Man” and “Gimme Some Lovin’,” both of which featured a young Steve Winwood. Jimmy Miller knew his way around a studio. More importantly, his experience as a drummer meant he knew how to shape a groove and drive a song. 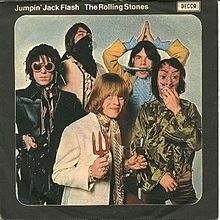 At the end of May, 1968, The Stones released “Jumpin’ Jack Flash.” A bracing blast of guitar-driven rock, “Jumpin’ Jack Flash” leapt to the top of the charts, bounding to number one in England and number three in the U.S.
“Jumpin’ Jack Flash” was a slap upside the head of everyone who had written off The Rolling Stones–including rock critics, the mainstream press and the touchy-feely hippie culture. Musically, the Miller-produced single codified what would become the band’s signature sound, and defined the sound of rock ’n’ roll for more than a decade. Lyrically, the song marked the beginning of a four-year period in which The Rolling Stones rode the Zeitgeist like no other act in the history of popular music. Far from a flower-power peace poem, “Jumpin’ Jack Flash” told the story of a battered survivor emerging triumphant–a street urchin reinvented as a star. As the sixties slid from halcyon to harrowing, the message was clear: Toughen up, or you’ll never make it in this world. It would prove to be timely advice. A year of unprecedented upheaval was less than half over. In January 1968, the North Vietnamese laid siege to the American base at Khe Sanh. The battle would rage for more than five months. On January 23, North Korean forces seized the U.S.S. Pueblo. Days later, the North Vietnamese launched the Tet Offensive. In March, a demonstration led by Martin Luther King, Jr. ended in a confrontation that left many injured and an African American teenager dead. The Johnson administration announced yet another troop increase in Vietnam, and war protestors at Columbia University were violently removed from campus buildings. On April 4, King was murdered in Memphis, sparking massive riots and National Guard deployments in major American cities. In May, student protests in France led to bloody battles with police. French unions joined the students in a massive general strike that pushed the country to the brink of revolution, and an angry President de Gaulle brought the military into play. 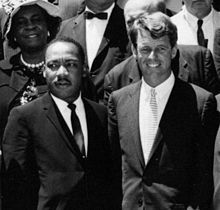 Shortly after midnight on June 5, Robert Kennedy was gunned down in the Ambassador Hotel in Los Angeles. In August, the Soviets invaded Czechoslovakia, crushing the Prague Spring beneath the treads of their tanks. A week later, protests at the Democratic National Convention in Chicago led to a “police riot” as the Daley machine’s troops ran amuck. 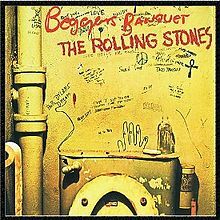 That same month, the Stones released “Street Fighting Man.” A taut tribute to political confrontation, the controversial song was widely banned, and charted poorly. But in America, radio itself was undergoing a revolution. The rise of free-form FM was beginning to make the singles charts seem irrelevant, and heavy airplay on the new (non) format made “Street Fighting Man” an anthem. Have you ever wondered why baby boomers take rock ’n’ roll so seriously? How the music went from being dismissed as teen fodder to being considered a formidable cultural force? Why so many people still give a rat’s rear-end about a bunch of rich old men who call themselves “The Rolling Stones”? The answer lies beyond “Satisfaction,” The Summer of Love, Some Girls and stadium shows. Because, when “Street Fighting Man” was released, it seemed less a song than a news flash from a source you could trust. A few months later, a young CBS reporter named Dan Rather was roughed up by Mayor Daley’s goons on the floor of the Democratic convention. Knocked to the ground during a live broadcast, Rather struggled to reconcile the reality of his situation with his cherished beliefs about America. The rest of the world watched, and did the same. In October, a peaceful protest march in Ireland was set upon by truncheon toting police, injuring over 100 and leading to two days of rioting in Derry. Mexican police and military troops opened fire on student protestors in Mexico City, leaving at least 45 dead and hundreds injured. Later that month in the same city, two U.S. athletes set off a scandal at the Olympic Games by giving the black power salute during a medal ceremony. In November, Richard Nixon won the presidency, narrowly defeating Hubert Humphrey. 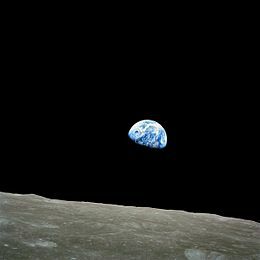 At the height of the holiday season, astronauts aboard Apollo 8 orbited the moon. For the first time in history, human beings saw images of the earth as a whole planet. As one of the most turbulent years in modern history drew to a close, dread and disaster, riots and rock bands, wars and wishes for a better world were suddenly seen from an unprecedented perspective. Perhaps there was hope for us all after all. The 1960s are stereotyped as a time of peace and love. But the reality of the decade was often frightening. Based on their earlier music, it seems unlikely that the Rolling Stones would have been the band to capture that on record. But I was there, and they did. 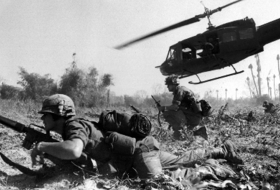 I’m a veteran of the Vietnam War, which weaves its way through this blog and its time period. I can’t begin to say how much music influenced the social movements that happened because of the war, or the effect music had in the U.S. and around the world. Right or wrong, music made people take action and make changes in their politics and personal lives. The Stones and other musical icons reshaped a generation’s thinking for a lifetime. Music and song have the ability to capture history and communicate truths in a powerful form. The Stones are survivors. Still rockin’ and rollin’–right, wrong or indifferent! Powerful! What an era it was, and what an emotional roller coaster it must have been to experience all of it. Thanks for constant good reads. On New Year’s Eve in 1968 I was watching The Tonight Show. Columnist Jimmy Breslin was Carson’s guest, and I clearly remember him saying that 1969 had to be a better year because it couldn’t get worse than what we’d been through in ’68. This post — in some ways the best of the Stones series so far — captures that feeling. Nice work.